SoulCycle is a New York City-based fitness company with studios in 13 U.S. states. 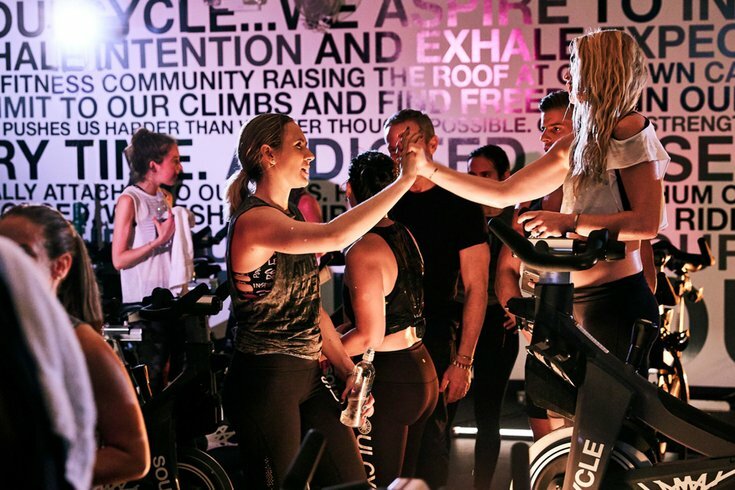 SoulCycle, the indoor cycling company with a cult following, has announced a new class called SoulActivate – and it sounds tough. The 45-minute high-intensity interval and strength training class is "designed to accelerate and decelerate your heart rate to burn fat and build endurance," according to SoulCycle. Expect challenging upper body strength moves with weights and timed interval pushes. You can watch the promo video below, although it doesn't show much besides fit people looking very sweaty. If you want to try the workout for yourself, the 16th Street studio in Philadelphia will start offering SoulActivate and SoulActivate Survivor (60 minutes instead of 45) starting Monday, July 9. SoulCycle recommends the new class for those who have taken 10 or more of the regular classes. Think of it as next level.